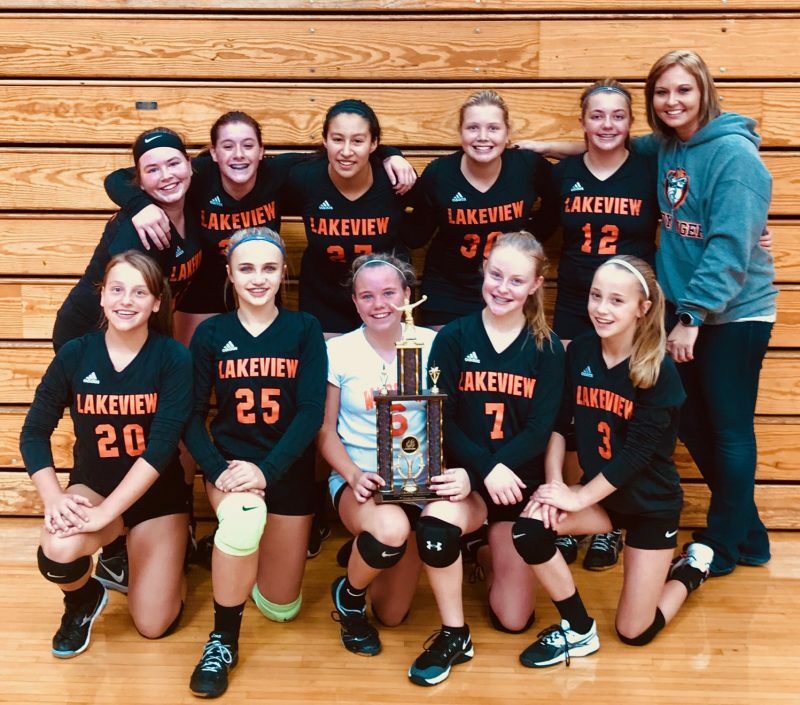 WARSAW – The hosts had the most on Saturday as the Lakeview Middle School volleyball teams captured championships in their own tournament. 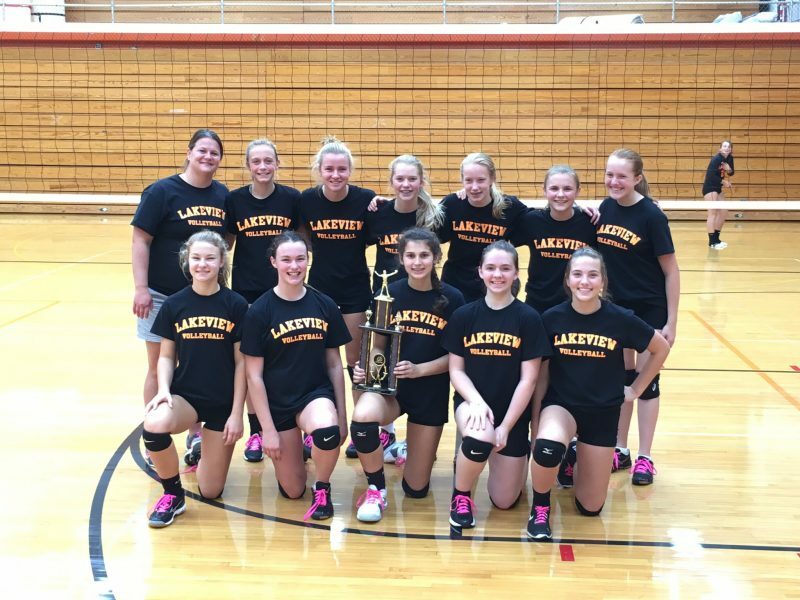 The 8th grade team defeated Logansport 25-17, 25-15, Churubusco 25-7, 25-15 and Woodside 25-8, 25-23 to claim the hardware. Cora West had a strong performance for the champions with nine kills and six aces in the tourney. Kylie Smith had four kills and four aces and Abbie Porter had seven aces and 28 assists for the winners. Wrigley Crabtree had three kills and Emma Christenberry an ace and a kill. Anna Gustafson had four kills and Hannah Shapiro and Sara Peugh each had two. Tori Jones had three kills and an ace. The Lakeview 7th grade beat Logansport 25-16, 25-21. Caitlyn Patrick had nine kills, six aces and two assists and Tessa Graney 10 assists for the winners. Lakeview beat Churubusco 22-25, 25-16, 15-3 as Patrick had nine kills and Graney had 11 assists, Mallory Mulligan had six aces in the win. Lakeview topped Woodside 25-21, 25-21 as Patrick had nine kills and three aces. Graney had three aces and 10 assists. The Lakeview 7th grade team is now 24-5 on the season.